Cloud Nine Events & Accessories | Dream your wedding…Live your wedding! Welcome to Cloud Nine Events and Weddings! We are all about Portland weddings, events, and accessories. Here at Cloud Nine Events and Accessories, we take pride in our dedication to create a unique event while paying extra close attention to detail and creative design for your event or wedding. If you are planning a wedding we bring the Bride and Groom’s, Groom and Groom’s, or Bride and Bride’s vision to life. Whether it’s a small intimate wedding or a large and lavish fairytale, our greatest accomplishment is transforming the wedding couple’s love story into an amazing celebration. If you are planning an event, birthday party, wedding anniversary, charitable event, or any other kind of party, Cloud Nine should be your first phone call. We can save you money, time, and stress. What more could you possibly ask for? Our services are available to the greater Portland Metro area as well as the Southwest Washington counties, Columbia Gorge, and the Oregon and Washington Coastal areas. We are also available for destination weddings, commitment ceremonies, and vow renewals! We offer a complimentary consultation to customize our services for your unique event. Contact us to schedule an appointment. We would love to meet with you! Since a young age, Jackie Healy has loved planning events! For fifteen years Jackie has been planning weddings and events and loving every moment of it. Along with planning events and wedding, Jackie has sewn and created customized wedding gowns and event accessories. “I have always had a sense of detail, style, and creativity,” says Jackie. She thoroughly enjoys the process of putting together an event and watching it come to life and seeing everyone having a great time. Jackie started Cloud Nine, Events & Accessories because she loves to help people by using her creativity, organization skills, and passion to turn love stories into unique events that will be remembered for a lifetime. Seeing a couple begin a new life as husband and wife and helping their wedding dreams become a reality is truly the most rewarding. Putting together those final touches for a baby shower warms the heart knowing that a little bundle of joy will be entering the world soon. Understanding that every element of each event or wedding is important, Jackie Healy strives for nothing less than excellence in everything she does. 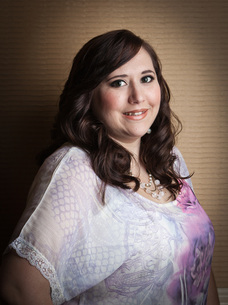 Jackie has a passion for weddings and events; that passion doesn’t stop at planning and coordinating. “I love wedding gowns!” shouts Jackie. A long time dream is to have a bridal boutique offering fabulous wedding and special occasion gowns and beautiful accessories while planning and coordinating amazing events. Look for the boutique addition to Cloud Nine in the future (With luck, the near future). Please go to Services and Investment to see all the different options you have when hiring Cloud Nine Events and Accessories! Dream big and remember that nothing is impossible!